It’s game day and now it’s your turn to host everyone. The day is going smoothly until everyone gets a little rowdy and someone bumps into your favorite porch statue and it tips over and cracks into pieces! 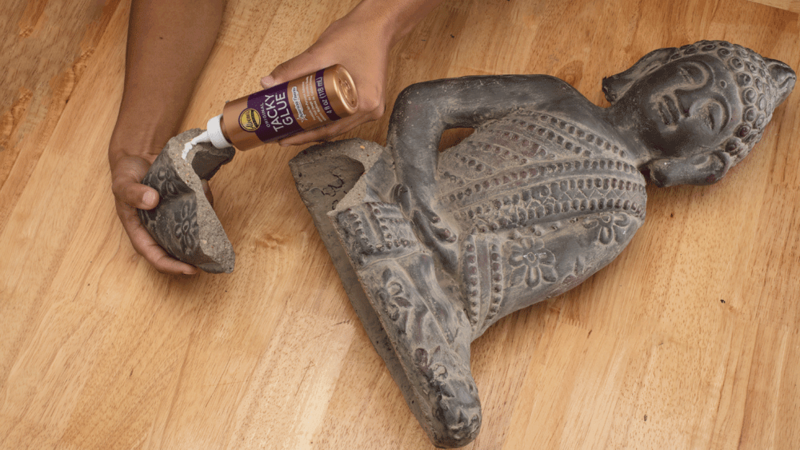 Don’t worry, gluing pottery back together can be an easy fix with Aleene’s Original Tacky Glue. 1. Clean, dry and roughen surfaces to be bonded. 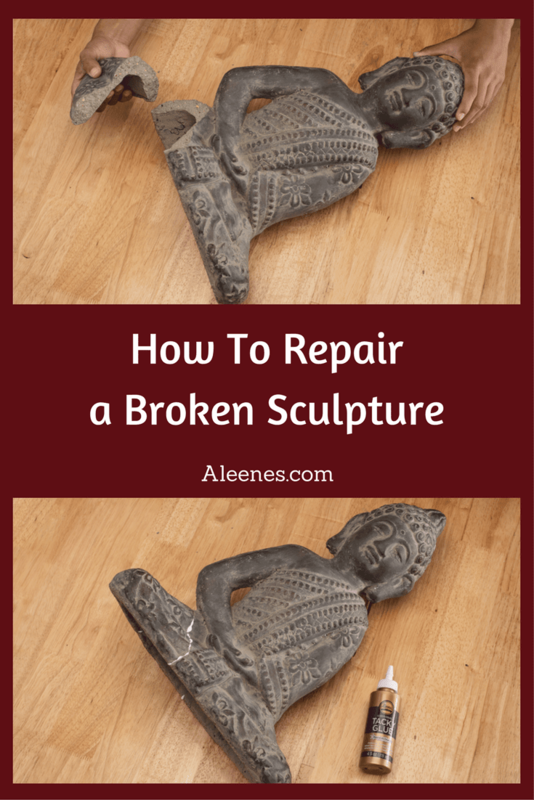 Remove any small chipped pieces. 2. 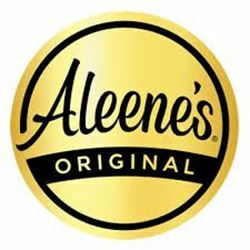 Apply Aleene’s Original Tacky Glue to one of the pieces. 3. Press the pieces together and hold firmly. 4. Let it dry for 2 hours. For a maximum-strength bond, allow 24 hours for cure time. 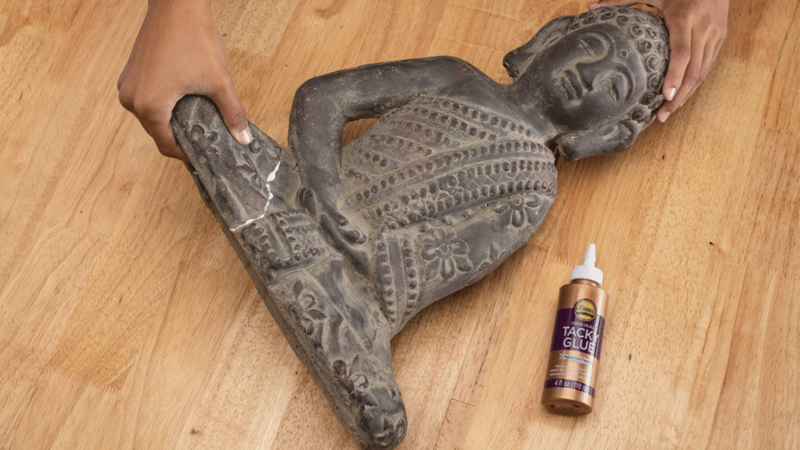 Your sculpture can now take its proper place back on your porch. 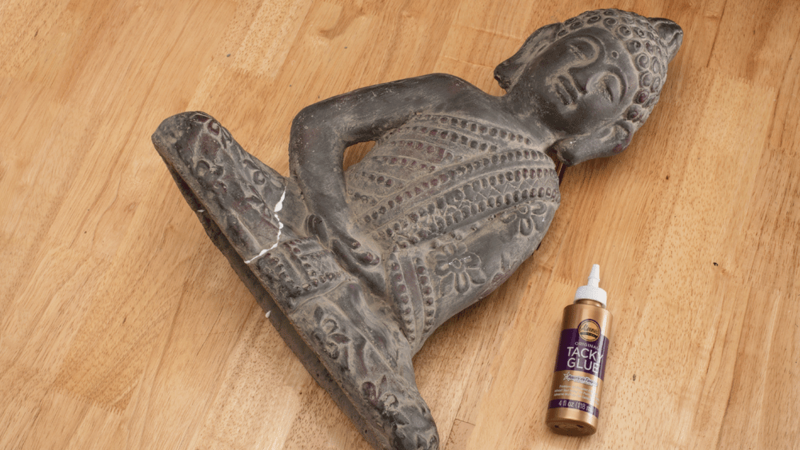 Aleene’s Original Tacky Glue is a great solution for most broken pottery mishaps. Next time, maybe move those breakable items out of the way before everyone comes over, or just hope that your team is the winning team!